A recent meeting of national umbrella groups convened by Hui E! Auckland sector issues – how are we coping with the devolution of social development responsibilities to Local Boards? There is plenty of parking, and a cuppa will be provided. See you there! Housing has been in the news a lot. Government and the multiple government agencies involved seem so wedded to control, so inconsistent in their setting of parameters and so uncoordinated in their imposition of conflicting regulation that it is very difficult for providers or potential providers to see how it can be made to work. Is there light at the end of the tunnel? We hear Scott’s perspective. Hear Scott on National Radio, 29 June2015: http://www.radionz.co.nz/audio/player/201760279 See the latest announcement from Government and the response from Labour. The conference this week was jointly hosted by Inclusive NZ, Inspiring Communities and Be.Institute, as an opportunity for all community organisations, government agencies, the business sector and community members to come together to have a new conversation. Ministers Bill English and Jo Goodhew spoke but so did some great people from our sector. In this discussion some people who attended will talk about what happened, and what will happen next? An opportunity for you to raise issues of the day, and seek collaborators on your projects, and make short announcements about upcoming events. Two surveys coming out from Hui E! Hui E! is working with the Department of Internal Affairs to explore the best way to review the existing document, and what is useful that we can build on. DIA has issued a survey to all the government agencies involved, and Hui E! is issuing a survey for NGOs this week Please do fill it out – it’s not too long, and it’s easy in Survey Monkey – https://www.surveymonkey.com/s/KHMNK5Y – but it will give us some grounding. DIA has committed to the review in its planning, so let’s make sure we have the right information to get a result that works for us! Following our discussion with the Productivity Commission, Hui E! is doing a very brief survey via our mail list to try and get a handle on the nature of contracts that community organisations have, with all sorts of government agencies. Do you have contracts, how many, and are they one-year, two, three, or longer? These are the simple but important questions. Interestingly many government agencies are unable to tell the Commission how many they have, so your response will be very useful! Pride! Let’s blow our own trumpet a bit! At our recent Hui E! Trust Board meeting, we reflected on the pressures on our sector. One result is that we can lose sight of the contributions our sector makes to a strong, resilient community. Last month there was a proud and loud celebration of National Volunteering Week – well done to those hundreds of groups and communities where thousands of New Zealanders add huge value with their regular gifts of time and skills every day, every week, every month. All the changes being talked about by government departments and others in the social service field seem to imply that the government needs to take the lead in developing new models of care, new models of funding, new relationships between funders and providers. Many of us know that in fact one of the features of our sector is our willingness to take risks, to try new things, to develop new ways of working – in response to the realities we are dealing with in our communities. Our sector is full of people who have that magical combination of vision, passion and realism. We have a dream of what could be, but we live with the reality that there is no magic source of new funding – so we build new programmes and new models that are very cost effective. Some of us think it’s time that we reminded ourselves and others of this aspect of how our sector works. Do you have a story of an innovation your group has been part of creating? It might be a simple reorganisation of how you do things, or it might be a total re-think of how you achieve your kaupapa. Whatever – tell us about it. We want to compile these and make them much more visible. Personally, I was part of a national network of community primary health services – we made a list of more than dozen innovations which began in our sector, and most of which have become a normal part of the way the primary health sector works. You will have a similar experience I’m sure. So – let’s blow our own trumpet – we are the sector where change is welcome, where innovation abounds, where people and groups can respond quickly to new situations. Hui E! is organising a session with interested organisations to develop a whole-of-sector New Zealand internal response to the Sustainable Development Goals (SDGs) that will be agreed at the UN in September. We will be sending out invitations, but if you’re interested please contact either peter.glensor@huie.org.nz or dave.henderson@huie.org.nz. Tentatively the meeting is scheduled for 11am on Monday 13 July, at Hui E! Many people think the words “Development Goals” mean they are just for developing countries, but the SDGs are intended to be universal in the sense of embodying a universally shared common global vision of progress towards a safe, just and sustainable space for all human beings to thrive on the planet. They reflect the moral principles that no-one and no country should be left behind, and that everyone and every country should be regarded as having a common responsibility for playing their part in delivering the global vision. This study introduces a new methodology for assessing the degree of both transformational challenge represented by each of the different SDGs (and their respective targets) and the transformational changes that will need to be made in implementing them in different national circumstances. From the client perspective, NGO services are more trusted, accessible and private. Te Tiriti o Waitangi is often been mistakenly considered to only be relevant to Māori and to Pākehā New Zealanders whose ancestors have been in New Zealand for some time. Te Tiriti however established the terms and conditions of all non-Māori settlement so therefore is relevant to all New Zealanders. Network Waitangi ōtautahi has been working with the Federation of Multicultural Councils as they have developed a new resource about their commitment to a Treaty-based multicultural future. This new resource is shared so that others can develop their own statements. The resource is available on both the Federation of Multicultural Councils and Network Waitangi ōtautahi websites.Network Waitangi ōtautahi has particular emphasis on encouraging those who do not have Māori ancestry to understand the Treaty of Waitangi. 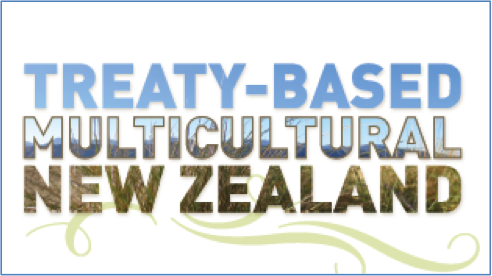 Earlier this year Network Waitangi issued the latest version of this valuable resource, covering 57 commonly asked questions about the Treaty and all the issues that surround it, from “What contact was there between Māori and Pākehā before 1840?” to “Are there any examples of Treaty-based co-governance?”. As the resource says in its introduction, “To understand our present situation, we must journey back and re-learn our history to understand the effects of the decisions made by those who lived before us. We can then move forward with a shared understanding and a renewed confidence in our abilities to resolve the problems we have inherited.” The resource includes an updated list of contacts for Treaty Educators, from Whangarei to Dunedin. It is available online at http://www.nwo.org.nz/resources.html under a specified creative commons licence, and hard copies can also be ordered there. “Citizens and business now expect that they will be more involved in policy development. I want the Policy Project to help create the space and share methods for policy professionals to engage directly with citizens, using technology or face to face. Rather than asking at the end of the process “what do you think of my solution?”, we need to invest in building relationships that can be drawn on to help shape, reshape and even co-design policies and services. Frontline staff are a real asset in this task as they deal with citizens and the real challenges they face every day”. Andrew Kibblewhite, Chief Executive of DPMC, recently appointed as Government’s ‘Head of the Policy Profession’ spoke at a gathering organised by IPANZ – the Institute of Public Administration. See Andrew’s address online. This is a 4-day skills development course for those managing and brokering multi-stakeholder partnerships. Multi-stakeholder collaboration is essential if we are to respond to complex issues and opportunities. Partnerships and collective impact initiatives are multiplying in New Zealand, yet these can be highly challenging to those involved and often fall short of expectations. As Peter Senge says: “The imperative to collaborate across boundaries ….has been established. Now we just need to learn how to get better at it, quickly.” (The Necessary Revolution, 2008) On 20, 21, 22, 23 October in Wellington, this unique and highly sought-after global programme is being run for the first time in New Zealand. It provides those working in partnerships with in-depth development on how to partner effectively. Apply now Spaces are strictly limited to 24 participants and are expected to fill fast. Please get your application in promptly to avoid disappointment. Go here to download the application form. Everyone is welcome to attend – and let us know if there are specific issues you want to see on the Sector Hui agenda. Level 4, 120 Featherston St – Corner of Featherston and Waring Taylor St. Note that Hui E! is reviewing the format and frequency of these gatherings, including looking at establishing something regularly in Auckland and then possibly Christchurch. Your feedback is welcome!